News from the Adamant Studio! Here’s a sneak peak at the latest designs I’m working on. What are you looking at? 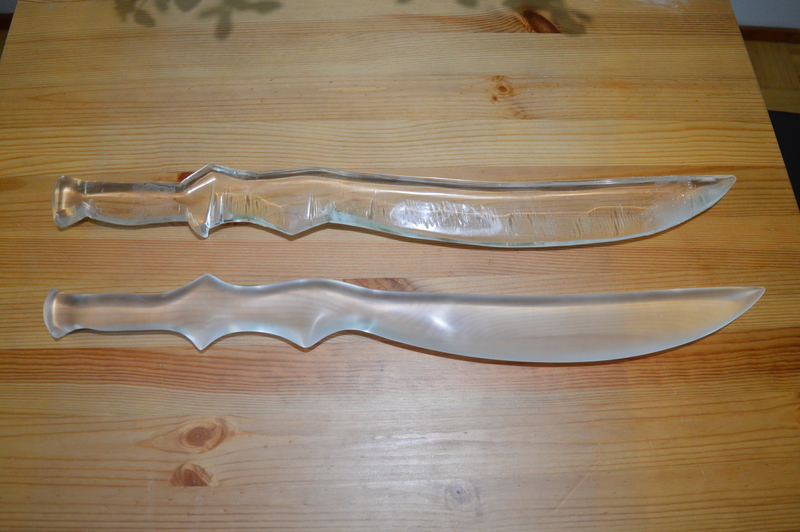 Well my friends, that is a custom short sword and matching dagger with leather-wrapped hilts and LED lighting. We’re going all-out here at the Studio and constructing a drill-press specifically designed to work with acrylic swords. Woo! The lovely Gabriel style sword you see on the table is also for sale. It has been re-shaped and buffed to my new and more exacting standards of quality. If you’re interested, in purchasing it, send me a shout at ekincaidwrites (at) gmail (dot) com. First come, first served. I’d also like to remind all my Shadowhunter readers that the deadline for ordering a blade for the holidays is THIS FRIDAY November 27th. So if you want to receive your Seraph Blade by the 21st – 25th of December, now is the time to make your decision! That’s all from me for now. Back to work! Author Ethan KincaidPosted on November 16, 2015 Categories Arts & Crafts, News & PromotionsTags Cassandra Clare, Infernal Devices, LED Seraph Blade, Mortal Instruments, Seraph Blade, Seraph Blades for Sale, Shadowhunter, Shadowhunter Cosplay, Shadowhunter Costume, Shadowhunter Sword, ShadowhuntersLeave a comment on News from the Adamant Studio! Hi all! 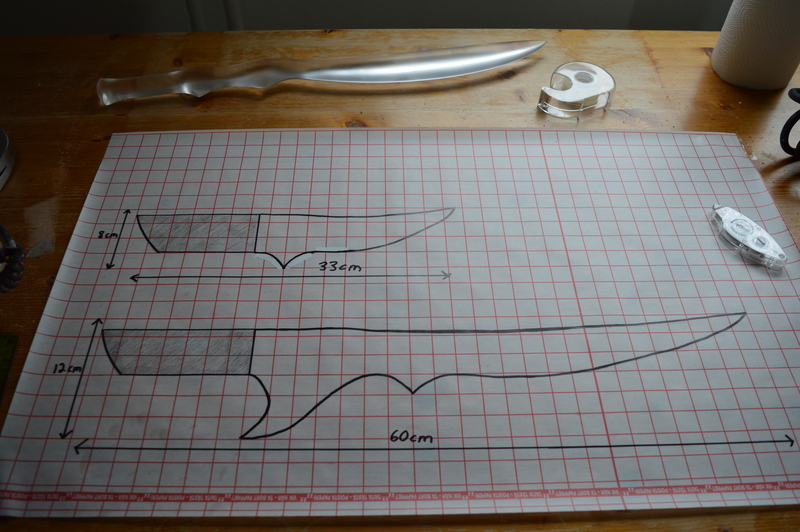 As I look over the re-finished show blade beside one of the untouched originals, I realize how much I’ve learned since I first began crafting Seraph Blades. I have better tools, better techniques, and a better understanding of just what the medium of acrylic is capable of. The difference is rather shocking.